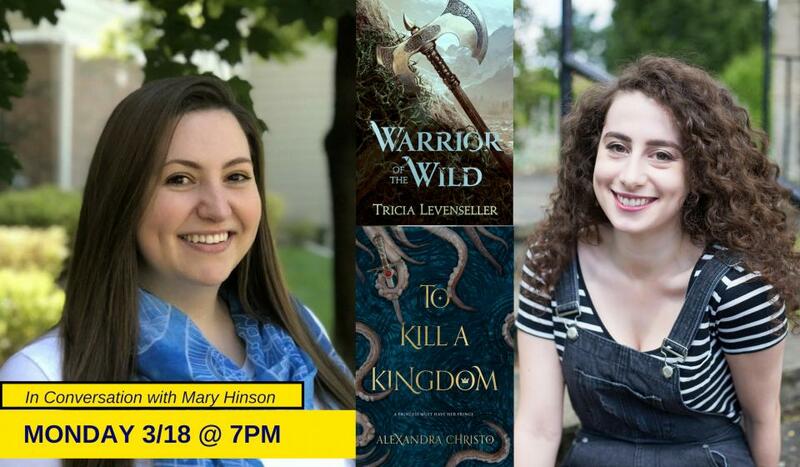 Join us in conversation with local librarian Mary Hinson as the authors discuss their widely acclaimed YA books! As her father’s chosen heir, eighteen-year-old Rasmira has trained her whole life to become a warrior and lead her village. But when her coming-of-age trial is sabotaged and she fails the test, her father banishes her to the monster-filled wilderness with an impossible quest: To win back her honor, she must kill the oppressive god who claims tribute from the villages each year or die trying. Lira, a famous siren, must prove herself by stealing the heart of the man, a prince, threatening their race in this dark and action-packed debut. Princess Lira is siren royalty and the most lethal of them all. With the hearts of seventeen princes in her collection, she is revered across the sea. Until a twist of fate forces her to kill one of her own. To punish her daughter, the Sea Queen transforms Lira into the one thing they loathe most--a human. Robbed of her song, Lira has until the winter solstice to deliver Prince Elian’s heart to the Sea Queen and or remain a human forever. The ocean is the only place Prince Elian calls home, even though he is heir to the most powerful kingdom in the world. Hunting sirens is more than an unsavory hobby--it’s his calling. When he rescues a drowning woman in the ocean, she’s more than what she appears. She promises to help him find the key to destroying all of sirenkind for good--But can he trust her? And just how many deals will Elian have to barter to eliminate mankind’s greatest enemy? Alexandra Christo’s debut is a dark and richly imagined take on The Little Mermaid that will leave readers breathless.